A manufacturer of a compact SUV, manufactured since 1995 with its name being in a debate as to what it stands for has unveiled its new facelift model for the European market. 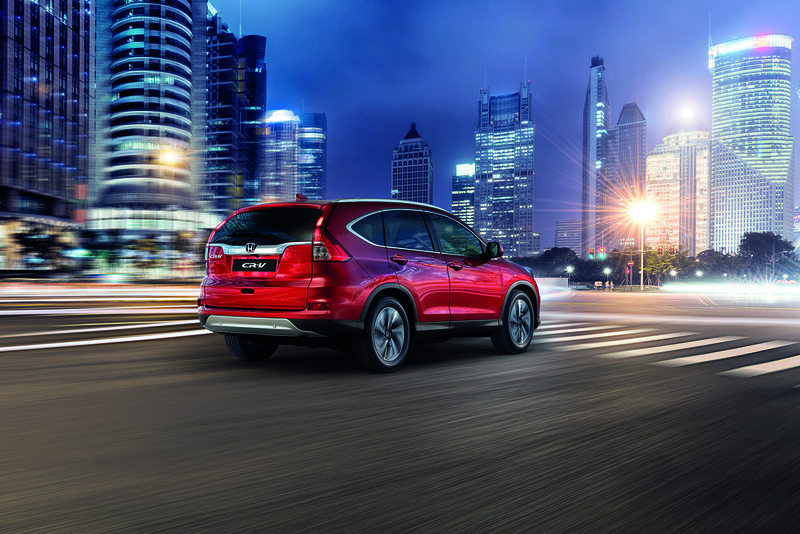 We are talking about CR-V or the Compact Recreational Vehicle from Honda. 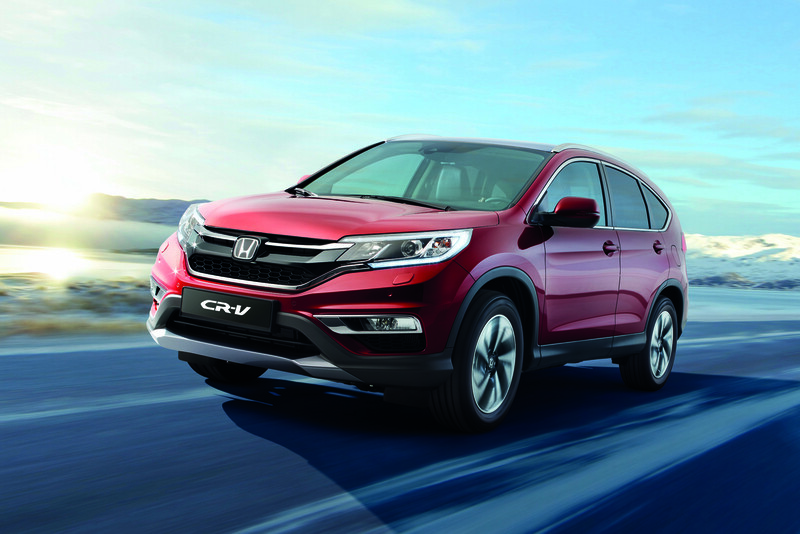 The company first showcased a prototype model of the CR-V in the Paris Motor Show in October 2014 and the unveiled version looks the same from the outside. The SUV will be packed with Honda’s latest features like the Connect System, Bluetooth Connectivity, Cruise control, Collision Mitigation Braking System, Lane keeping Assist, memory seats, 7-inch touchscreen and Forward Collision warning of which some of the features may come optional. The mill used in this facelift version of the CR-V will be a 1.6-liter i-DTEC diesel churning 350 Nm of torque and 160 units of horse power. With an optional 4- Wheel drive system the engine will be mated with a new 9-speed automatic or a 6-speed manual gearbox. 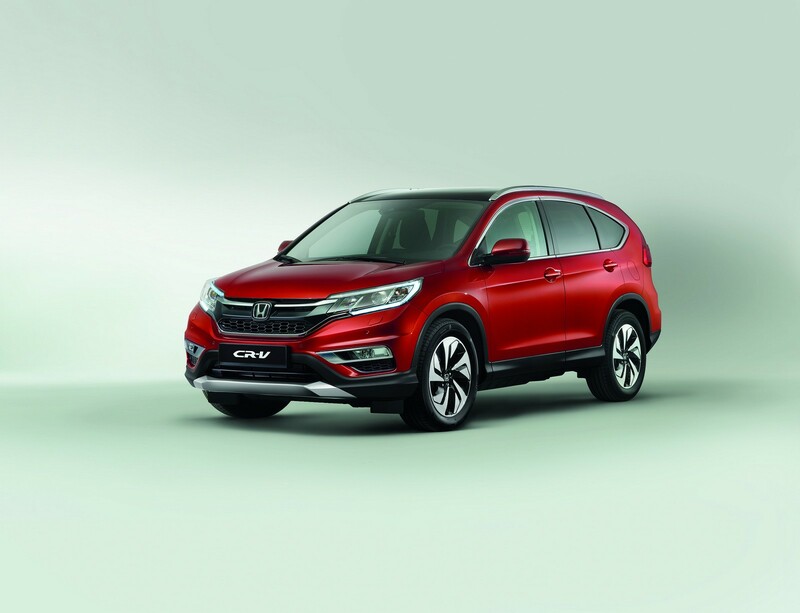 Moreover the new CR-V will also see a 155 hp 2-litre i-VTEC petrol engine and a 120 hp 1.6-litre i-DTEC engine both paired to a manual transmission system. As we mentioned earlier the new CR-V has the same interiors as we saw in the prototype model showcased in the show. However, the company has made a few changes inside the car. Changes include chrome trimming on the dashboard and a sliding armrest. Pricing and full specs have not yet been disclosed by the company, but we are sure they will be out in a short while. The car seems to be completely changed but it still lacks the sporty attractive looks that should be in this class of car.